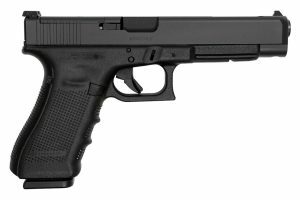 This model comes with three magazines and night sights. 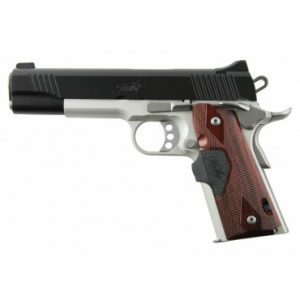 LE officers are eligible for a $150 credit with the HK Store if this pistol is purchased before 12-31-18. HK’s patented charging supports, found on full size VP pistols, are also present on the VPSK. The charging supports are simple components that are mounted on each side of the rear of the slide and provide better gripping leverage for racking the slide rearward. The charging supports speed reloading and make operating the VP easier for shooters with reduced hand strength. VPSK pistols use a proprietary captive flat recoil spring that helps reduce the recoil forces affecting the operator and the handgun, improving shooter control during rapid firing and prolonging component life span. HK’s famous cold hammer forged barrel — made from cannon grade steel — ensures a long service life. Similar HK barrels on 9 mm P30 models have fired more than 90,000 rounds in endurance tests in 2010. The polygonal bore profile, with no traditional lands-and-grooves rifling, contributes to longer service life as well as a slight increase in muzzle velocity. Despite their small size, VPSK subcompacts have excellent weight and balance making them naturally pointable, easy to control, and accurate to shoot. 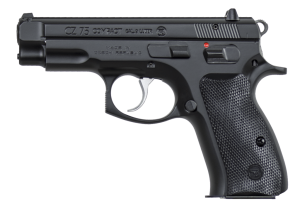 VPSK models are currently available in 9 mm. VPSK pistols are made in Heckler & Koch’s Oberndorf factory in southwest Germany and are well suited for civilian sport shooting, security, military, and law enforcement use. 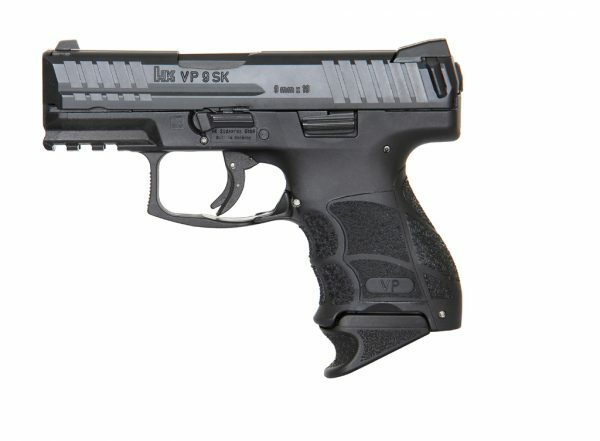 A high quality and well-engineered design, the VP9SK possesses all the features and long-term durability that make HK products especially cost-effective when subjected to total life cycle cost analysis. And like full size VP pistols, the VP9SK is value priced at $719 (MSRP).